Green side trap shots can be intimidating, but they need not be. The club face edge dictates the direction the ball will take once struck. Your hands should always be in the center of your stance. The plane of the swing should not change. The greenside sand shot should be hit a ½ inch behind the ball. Hitting ½ inch behind the ball: We tend to want to control the distance the ball will travel by the amount of sand we hit. This was actually true when we blasted our way out of traps. 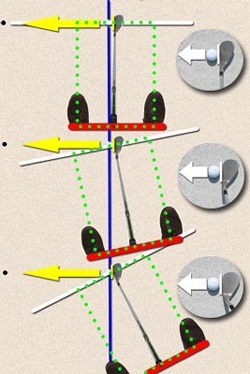 Nowadays, the distance depends more on the openness of the club head (the more open it is, the less distance it will travel) and the length of the back and forward swing. Sand can be your friend .. The best Sand Wedges Amazon has to offer! Enjoy these WEDGES knowing that you are purchasing from the largest golf store in the world.